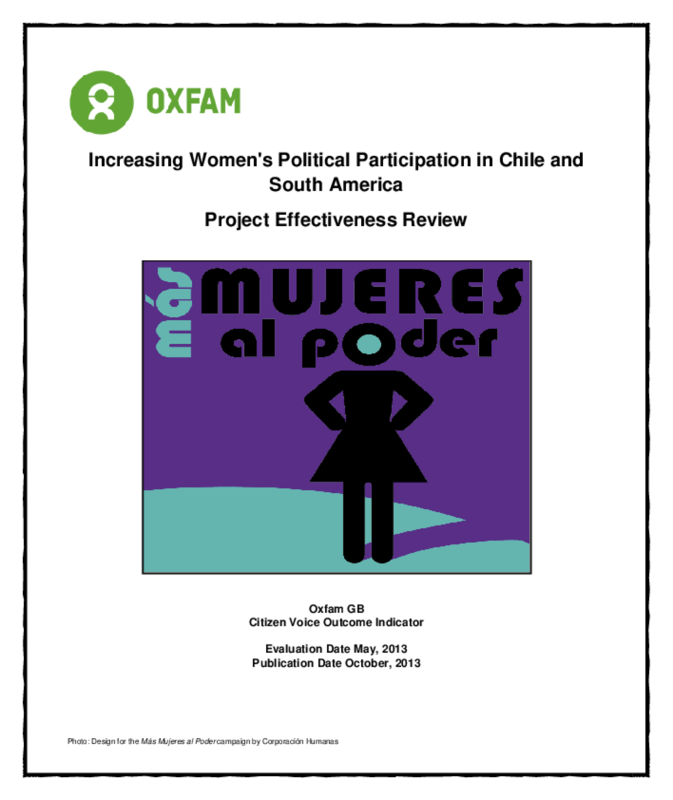 The "Increasing women's political participation in Chile and South America" project was launched in 2008 as part of Oxfam GB's Raising Her Voice (RHV) portfolio, which aimed to support and strengthen women's roles in shaping policy and local governance. The project, implemented by Corporación Humanas, focused on increasing women's leadership and participation in politics and decision-making in Chile and South America more widely. At a national level - the focus of this evaluation - the aim of the project was to increase the political participation of Chilean women and to ensure that women's voices are equally represented in political processes. This report documents the findings of a qualitative impact evaluation, carried out in May 2013, which used process tracing to assess the effectiveness of the project.